The Bench hoped that the saviours of life won’t resort to such means, which would jeopardise life of patients. 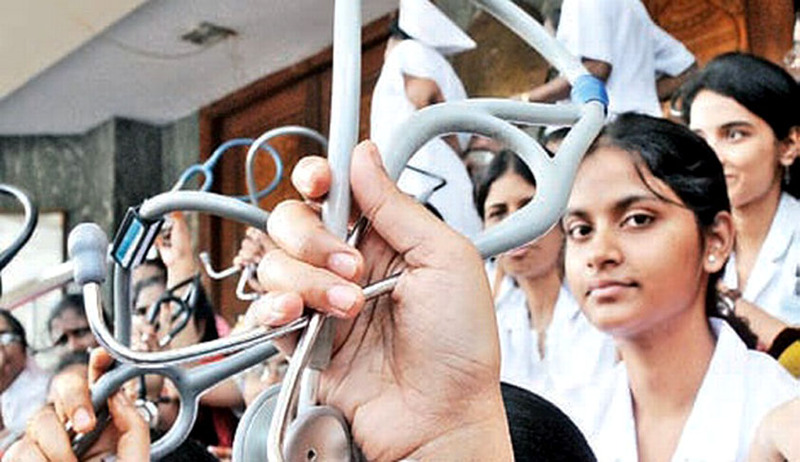 The Public Interest Litigation was filed by the NGO, People for Better Treatment, asserting that doctors have no ethical, moral or legal right to deny treatment to the ailing citizens by going on strike. Even though the Court agreed with the stand taken by the NGO, it restrained itself from passing any order in this regard. The NGO also contended that while peaceful strike is a basic right in democratic society for employees in most professions, people involved with work pertaining to vital public services cannot go on strike by holding the entire society at ransom. The Bench noted that it was a “commendable” effort by the NGO. The PIL was filed in 2012, when a nationwide strike was called by the Indian Medical Association, which was protesting against certain reforms initiated by the Central government in the field of medicine. At the time too, the Supreme Court had refused to interfere in the matter. “Why should courts issue directions? It is a peculiar situation. Nobody expects doctors, lawyers and teachers to go on strike but they do so”, it added.